Founded in 2006, Demetra is a Bay Area, family-owned and operated provider and manufacturer of premium kitchen and bath products. We provide a unique blend of high quality, advanced functionality, and modern flair with our contemporary, European inspired designs. 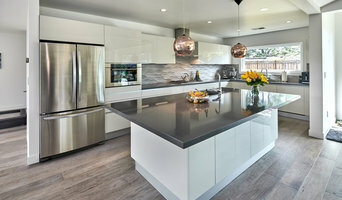 Specializing in kitchen and bath projects, Demetra takes an innovative, service-oriented approach to developing creative, flexible solutions at a price within reach of mid-end, value-conscious consumers. At Demetra, we build our own distinct line of European-style, semi-custom, frameless, modular cabinets locally in San Jose, California. 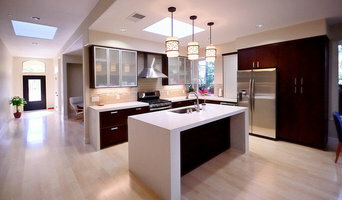 Our trend-setting designs include eco-friendly bamboo, thermofused textured melamine, and high gloss acrylic options. 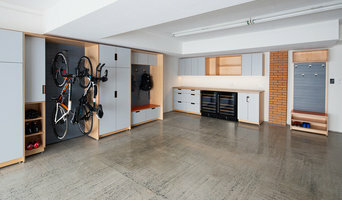 We incorporate industry-leading Blum, Hafele, and Rev-A-Shelf technology to maximize storage capabilities and offer lasting value to your cabinetry. By creating an exciting and enjoyable process and by listening and responding to our clients needs, we are able to thread together comprehensive designs down to the last threaded detail. 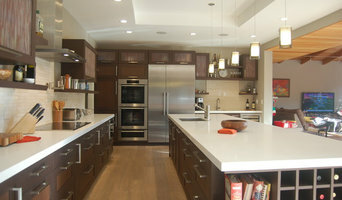 "Let Us Create Your Dreams" We have been building commercial and residential custom cabinets and furniture since 2008. Call us and get a free estimate on your project today! Strong Roll-out Shelf and Drawer is a family operated and owned company that started over 35 years ago in the kitchen design and manufacturing industry. We design, manufacture and install custom organizational systems that are as practical and efficient as they are elegant. Benefit from our experience and expertise. True to our Silicon Valley roots, Midland Cabinet Company got its start in a garage. That was in 1965, and we’ve grown quite a bit since then, but founder Rob Boynton remains intimately involved in every project and in all phases of the design process, just as he was in the beginning. And while we long ago moved out of the garage, we’re still at home on the San Francisco Peninsula and still going strong. We’re thrilled that 2015 marked our 50th anniversary, but we’re not surprised that we hit this grand milestone. It was always part of the plan to stick around and thrive as a family-owned business with deep roots in our community and beyond. A 50th anniversary is a milestone year for any company. For us, it’s testament to what we’ve always believed and practiced: that quality products, quality service, and customer appreciation are the cornerstones for continued success. We take pride in a job well done. At Floor Gallery, we take pride in our exceptional customer service. Our team of experienced flooring and design experts are here to turn your dream home into a reality. 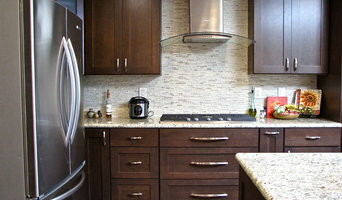 Kitchen & Bath remodeling supplies with focus on all wood construction in stock kitchen and vanity cabinetry. With 100+ door styles in stock, cabinets are fully assembled and delivered in 3-7 days. With five branches around the Bay Area including Oakland, San Francisco, Santa Clara, and Tracy, Sincere continues to offer consumers the best quality products with the best prices pertaining to them. We have been serving the Bay Area since 1988. Along with our quality products, price, and selection, we also offer the best customer service we can because we believe in helping our customers gain knowledge with the products so that they can use them to their maximum benefit. Our goal is not to get our customers to come in for one time, but to develop a long term relationship with them and advise them with any of their home needs.